Exceptional wine from a selection of our best Merlot and Cabernet Sauvignon. 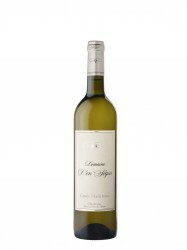 This white dry wine is 100% Chardonnay aged in oak barrels You will find a toasty aroma and it's also full-bodied. It's great whit smoked fish, chicken with mushroom and Comté cheese.